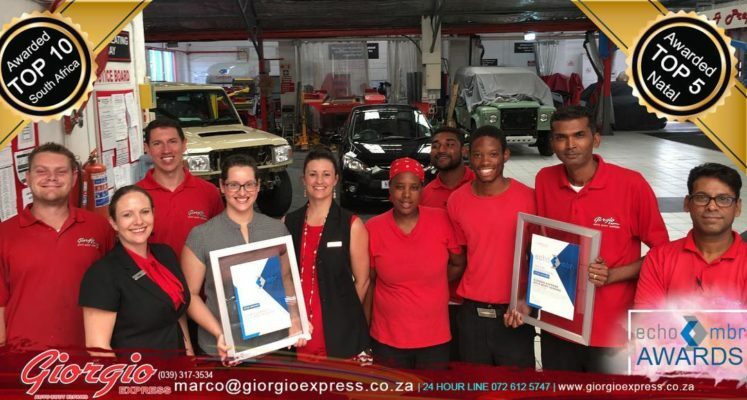 For the past 15 years, 2018 Lightstone Consumer has been measuring customer satisfaction for the premier motor body repairers in South Africa through their Echo MBR Platform. In their the latest round of awards, we are extremely proud to announce that we have placed in the top 10 in South Africa and the top 5 in Kwa-Zulu Natal. This is a massive achievement considering we are competing against over 700 other premier auto body repairers. This incredible award is not only significant to us, but we believe it makes a positive statement on the outstanding level of businesses on the Hibiscus Coast. Having said that, we would not have been able to achieve this award without the support of our local community. We would like to dedicate this award to you as well. Considering all the above it truly is an honour knowing we are representing the Hibiscus Coast and knowing we have brought this prestigious award home for everyone! It is the perfect way to end what has already been a fantastic year.